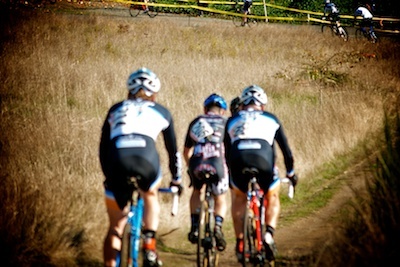 and it went blurry for the rest of the race with a constant chase of these guys. I’ve got a curse at Steliacoom. That’s a local, legendary course, and I’ve crashed twice there this season. On Sunday, 45 seconds in and at turn 3, a racer in front of me loses his front wheel. I rode over him, launching off his hip, and onto the ground. 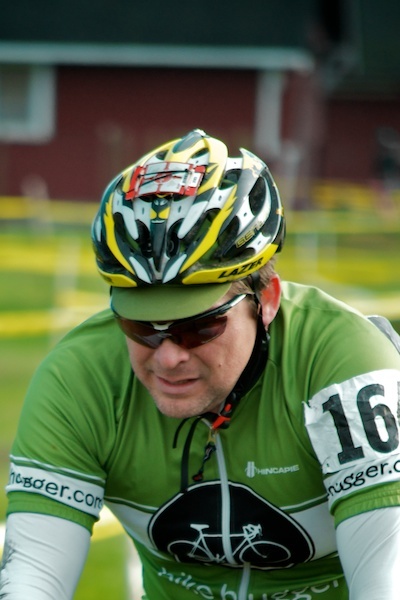 After taking a pit lap, I raced with course-tape-guided tunnel vision, and an angry stomach, until someone told me to stop. What I learned in that race is if you’ve got anger to work out on the bike, the Parlee CX H will take every bit of it, and ask for more with a loud weeeeeeeeeee on the descents. When hugga went loco, I took risks, drifting the turns and driving it for a who knows what placing. Only after backing it off, did I realize how well the bike worked. 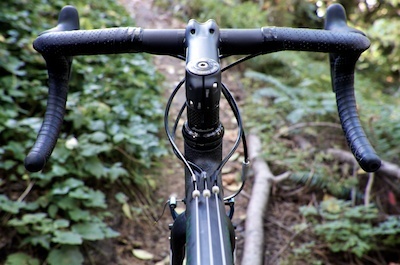 Cause a good cross bike, a great one, pulls focus from itself to you. This Parlee ain’t no Fondo bike. It’s a modern cross bike. 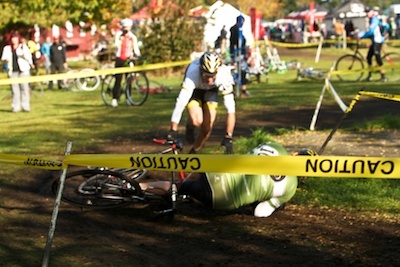 One I’ll race on, and punish, for the rest of the season. It’s on loan from Ben at Parlee, as a demo, and it’s gonna go back a different bike. Psychologically damaged, I predict. Note: Thanks again to Redline, Tim, and Joe for the help in the pits.